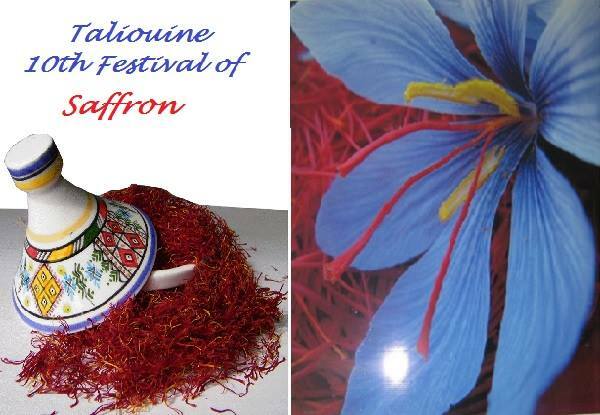 Taliouine - Titled, “Saffron and the challenges related to climate change,” the 10th International Festival of Saffron, kicked off Friday in Taliouine in the province of Taroudant. 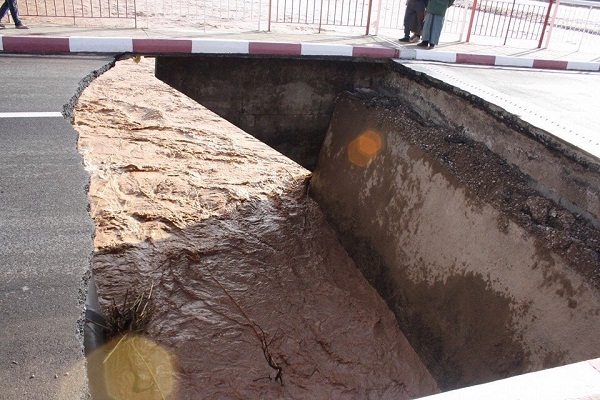 Taliouine – Titled, “Saffron and the challenges related to climate change,” the 10th International Festival of Saffron, kicked off Friday in Taliouine in the province of Taroudant. 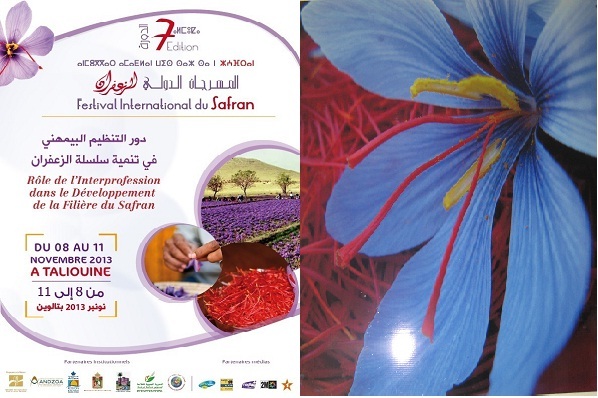 The festival organized in in partnership with the Belgian Development Agency (CTB) to celebrate the harvest of saffron and to encourage the best practices of Saffron agriculture and commercialization. Received by local music and dances, the governor of the province of Taroudant Lhousain Amzal, the Director of the Regional Office for agricultural Investment of Souss-Massa, Hrou Abrou, and other officials inaugurated officially the festival on Friday afternoon. 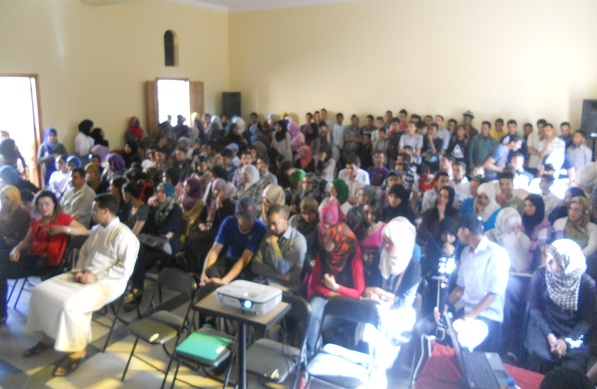 Prior to the official inauguration, organizers held sports activities, supervised by the Provincial Delegation of Youth and Sport of Taroudant, in partnership with the Association of Youth and Sport and Club Atlas of Taliouine. On Friday afternoon, the organizers welcomed an international delegation that participated in the International Symposium on Saffron Biology and Biotechnology held in Agadir last week. The delegation consists of professors and researchers in the field of saffron from the U.S., Italy, Iran, India and Greece. To bring together the results of scientific research in the sector and share them among farmers; To contribute to the development of tourism in the region of Talouine. The festival was also an opportunity for local cooperatives to exhibit their products and artifacts. Even though saffron the “most expensive in the world known for its therapeutic qualities,” and saffron-based products were the dominant exhibitions, other products of the region were present, mainly Argan oil, saffron flavored honey, almonds, garlic and the famous carpets of Taznakht. “The harvest season has been a tradition of our ancestors, who used to celebrate their modest means by crowning a year of hard work, a good harvest with an annual festive event. New generations are asked to learn from those who initiated the saffron festival, which celebrates its 10th edition this year,” reads the official website of the festival. A lot of people, men and women alike, with their wonderful local costumes gathered in the evening to enjoy the vibrant rhythms of local music and dance, known as “Ahwash,” along with other famous artists and music bands mainly from the sous region. 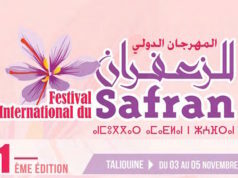 In addition to the atmosphere of festivity that marked the capital of saffron on this occasion, many cultural conferences, skill building workshops, sport activities and entertaining activities for children were planned to take place in Dar Zaaafran (the house of saffron) during the three days of the festival.